The government-funded body that promotes the UK’s culture and education abroad has sacked a disabled teacher, despite its own internal investigation concluding that it failed to provide her with the reasonable adjustments she needed to do her job. The British Council, which proclaims itself a Disability Confident employer – under the discredited employment scheme run by the Department for Work and Pensions – was able to dodge its Equality Act duties by arguing that the legislation does not apply because Emily Frisby worked in Morocco and so was subject to local employment law. Internal investigations upheld her complaint about the failure of managers to provide her with the reasonable adjustments she needed and even concluded that “management may have crossed a red line in terms of intimidation/bullying” of Frisby. But although the British Council then agreed to provide the adjustments she needed, managers repeatedly refused to provide details of the provisions they would make, she said, and ignored her emails asking for clarification. She had experienced months of disability discrimination at the hands of British Council managers after transferring to Morocco from Vietnam in 2017. She was denied the reduced hours she had in her previous British Council job, which worsened her health condition, and was forced to take a “protracted and dehumanising” grievance procedure because of the refusal to provide her with the reasonable adjustments she needed. But when she tried to secure the reasonable adjustments she needed, managers refused to provide them and instead questioned her impairment, and, she said, bullied and harassed her. 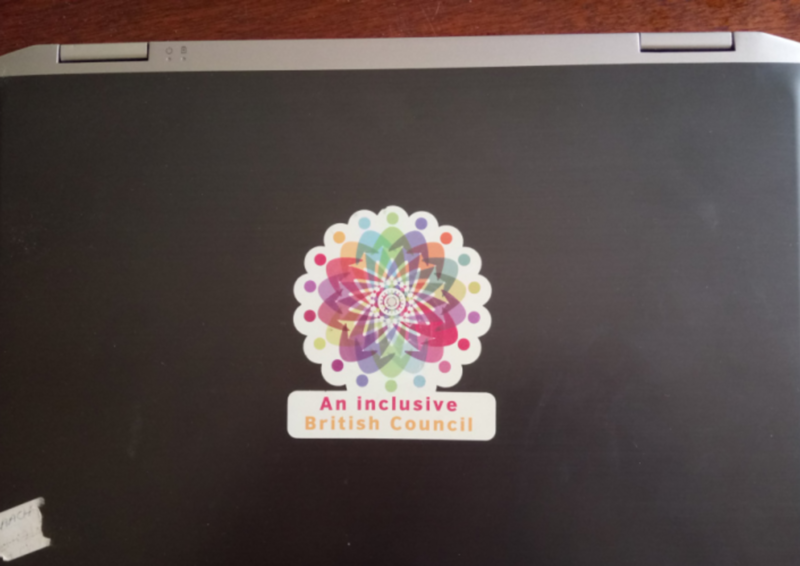 She was forced to drop a legal claim for discrimination because the British Council argued that the Equality Act does not apply to its actions in Morocco, even though it is a UK charity, receives funding from the UK government, is sponsored by the Foreign Office, and has signed up to Disability Confident. Now the British Council has given Frisby three months’ notice under the “Moroccan labor code”, blaming her for her failure to return to work and telling her they are treating this as a resignation, even though her GP and an occupational therapist advised her to make sure the adjustments were in place before she returned to work. She has been off sick for more than a year and received sick pay only until August. She has not been paid since. She said: “I haven’t had any indication of how the adjustments would work in practice… despite repeatedly asking for and obviously needing confirmation and clarification. “My GP and occupational health advised to have the adjustments in place before I returned to work to avoid further stress and delays and it seemed sensible considering it would be impossible for me to return to work without any discussion or knowledge of my working hours and classes. She added: “My emails and sick notes are often ignored entirely, or they just repeat that adjustments will be made on my return to work, ignoring the other questions and concerns. The British Council argues that it does not need to comply with the Equality Act because Frisby was employed in Morocco and was subject to local employment law. It also says that “the spirit” of the Equality Act is captured in its “equality policy, values and behaviours”, which apply to all staff globally. A British Council spokesperson refused to say whether it would provide Frisby with an apology and compensation for the treatment she has received. She also failed to say why the British Council could not go beyond Moroccan law and treat disabled people as fairly as they would be treated in the UK, and she refused to say if the British Council believed it could continue as a Disability Confident Employer in the light of her treatment. But the spokesperson said in a statement: “Our own internal investigation into this found that we didn’t handle some aspects of the adjustments required very well. “Although the changes were later put in as requested, we are sorry for the upset this situation caused. “We had successfully made adjustments for Ms Frisby in a previous role, in a different country. “We have now shared how we handled these requests with our Disability Facilitators –specially trained staff in global teams – so they can help assist employees and managers in these situations.